March the 2nd is Dr. Seuss’ birthday so what a great way to celebrate by breaking out one of his books and bringing it to life. My kids love reading all of Dr. Seuss’ books and we also used them as beginning readers for each of my boys. Best way to teach reading is to have them read real books and those silly rhyming sentences can make reading a lot more fun. Of course, you have to read the book first but the activity would still be fun without it. We’ve read this so many times, I’m not sure how my kids are not sick of it yet. 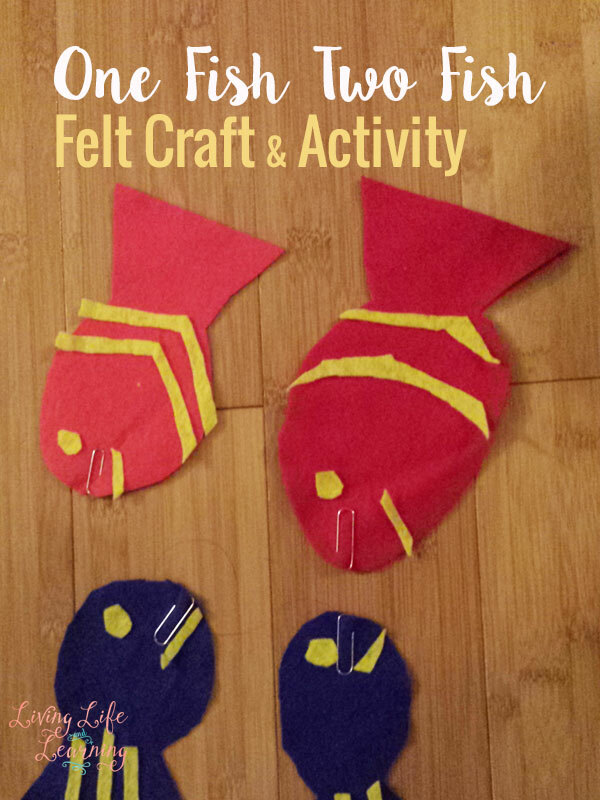 I cut the blue and red felt into fish shapes, I then added yellow details like eyes and stripes to make them pretty and glued them on. 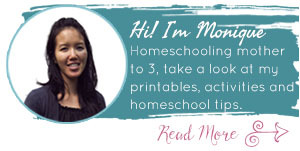 It’s a super quick craft and easy to do. Believe me, I’m not crafty so I didn’t measure anything out, I just used the scrap pieces of felt I had on hand. Then I added the paper clips to the fish. So you will probably not have this issue, but my fridge magnets were super small so I had a hard time tying them with the string. So I looped the string around a block that we use for threading, there’s a hole in the middle, and duct taped the magnet to it. Hey, I did say I wasn’t crafty, but it worked. 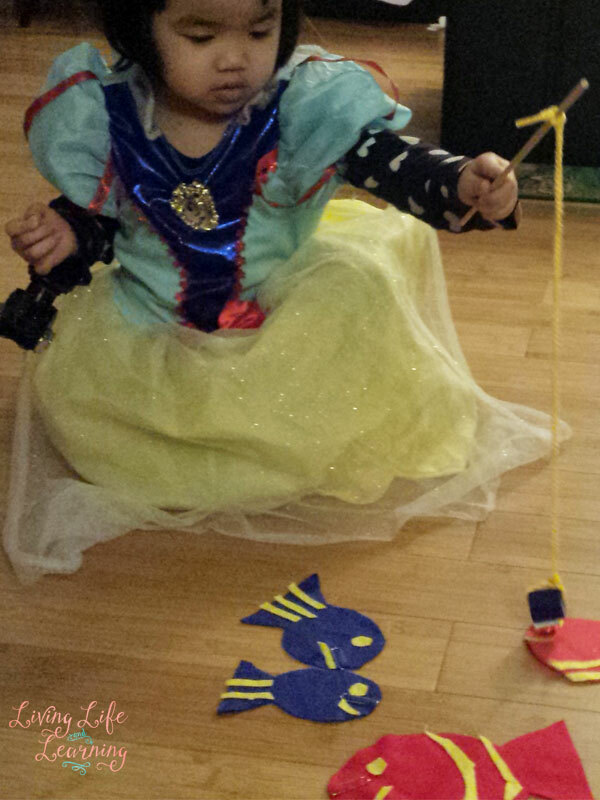 Why yes, that is my daughter fishing in her Snow White princess dress, and yes she does have her brother’s gun attached to her arm. Every princess has to be able to defend herself. We’re in a princess dressing phase right now. Before it was the Elsa dress, so you’ll be seeing her in this more often. One Fish Two Fish Red Fish Blue Fish (I Can Read It All by Myself) Oh, The Places You’ll Go! Are You My Mother? (Bright & Early Board Books(TM)) Happy Birthday to You! 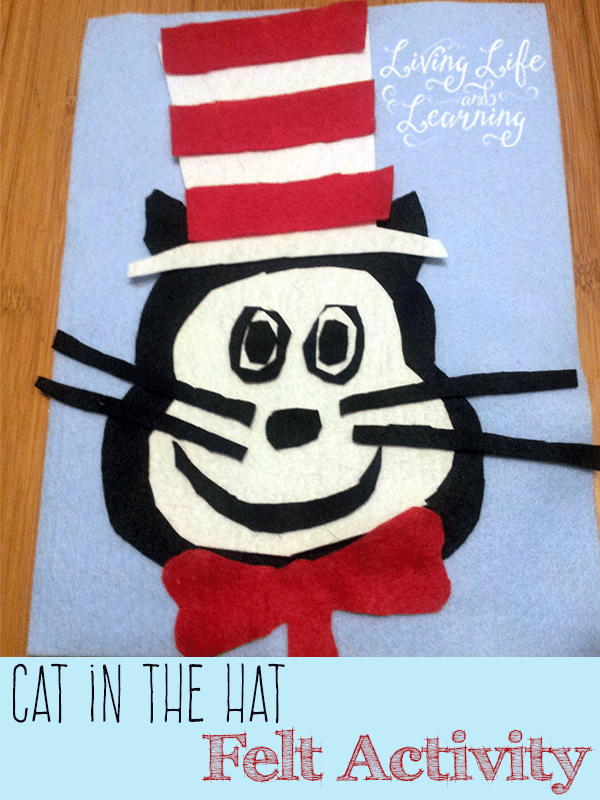 Go ahead and check out our Cat in the Hat Felt Craft as well. I love simple activities that I can put together quickly. The kids might even enjoying helping me make this one – thanks for the idea! I love simple as well.